The offered food security by the current government has ended in a thunderous failure, with no possibility of recovery, which seriously affects the health of the Bolivian people. The production of essential foods for family consumption has fallen abruptly, while the production of coca, cane for ethanol and soya rises exponentially. At present, the Bolivian people live mainly on imported and contraband consumer goods. The food import curve for direct consumption grew alarmingly, while at the same time it slightly increased the importation of materials dedicated to food processing for the operation of industries. The statistical data highlights that, while in 2006 only 124.7 million dollars were imported, in 2018 488.5 million dollars were already imported, a spectacular ascent that reveals that the Bolivian people live on imported goods. To these imports of staple foods (rice, fruit, cocoa, etc.) the country also imports raw material for the operation of industries dedicated to transforming them into products for consumption. In that sense, while in 2006, that is to say when the existence of the current political regime began, raw material was imported for 123.5 million dollars, in 2018 it was imported for 186.7 million dollars. These two items from 2006 to 2018 meant the total import of food for 6.9 billion dollars, according to the Jubilee Foundation. 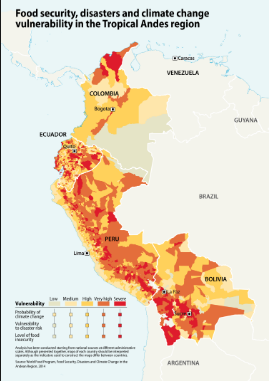 On the other hand, the areas for food production have been reduced in the inter-Andean region of the country, causing shortages of products such as potatoes, oca, barley, wheat and others. On the other hand, there was an increase in coca cultivation, because while in 2006 the cultivation of 12,000 hectares was authorized, last year the MAS government authorized the cultivation of more than 25,000 hectares of coca, which, in a large percentage, destined to elaborate coca paste and cocaine. In the east of the country, the government has negotiated with farmers to expand the cultivation area, from 250 thousand to 500 thousand hectares, but not for growing food, but to produce cane to extract ethanol and mix it with gasoline. Closing on a high note, with Venezuelan style, food smuggling to the country revolves around 400 to 500 million dollars, a business that is slowly but surely killing agriculture in valleys and highlands.